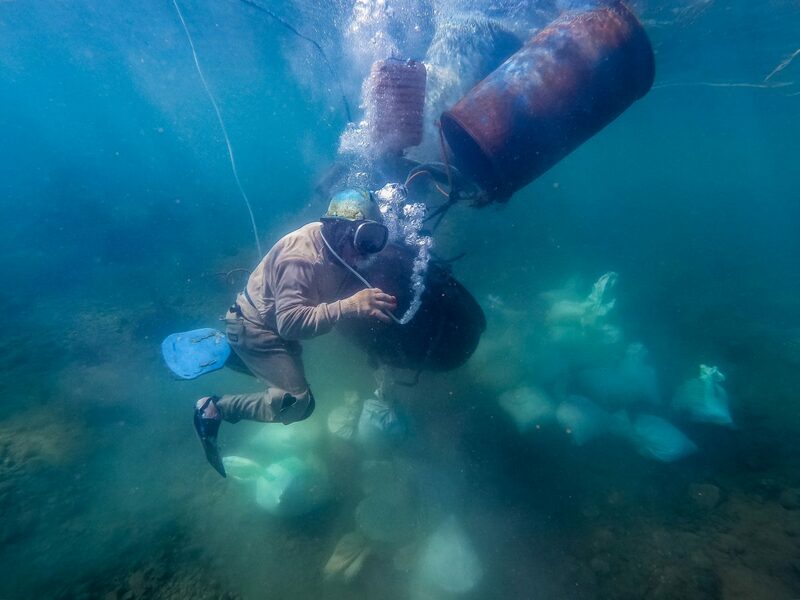 Along the shores of Pinut-an in the Philippines, locals mine underwater gold deposits with makeshift gear. I followed this veteran miner with nine years of gold-diving experience 15 meters down to watch how he uses coconut shells to scoop silica-quartz sand into plastic bags. To breathe underwater, he inhales air from the end of a hose, lets it circulate, and then releases it out the other side of his mouth. Skillful submarine miners like this man, who uses homemade flippers on his feet, have even learned to lunch underwater. The menu includes sea urchins, fresh clams, or any other sort of kinilaw, which translates to “eaten raw.” Since visibility can be very bad, miners locate silica-quartz by rolling pebbles between their fingers and listening for a distinctive sound. After bagging the sand, this miner loads it into a bowl, and then fills the attached drums with air until they’re buoyant enough to make the rig easier to tow to shore. 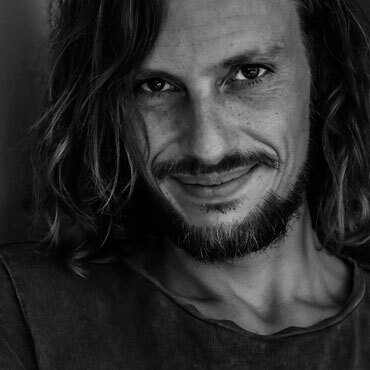 Cite this Article: Claudio Sieber “One Great Shot: DIY Gold Mining,” Hakai Magazine, Apr 12, 2019, accessed April 23rd, 2019, https://www.hakaimagazine.com/videos-visuals/one-great-shot-diy-gold-mining/.